The Kershaw Skyline fixed blade is based on the popular folder of the same name. It's a slim, compact knife made right here in the USA. This Blade HQ exclusive version received the premium treatment and is limited to 250 pieces. It utilizes premium, USA made CPM-S30V stainless steel construction with a stonewash finish and textured black G-10 scales. We've also upgraded the sheath to a custom formed premium Kydex sheath. 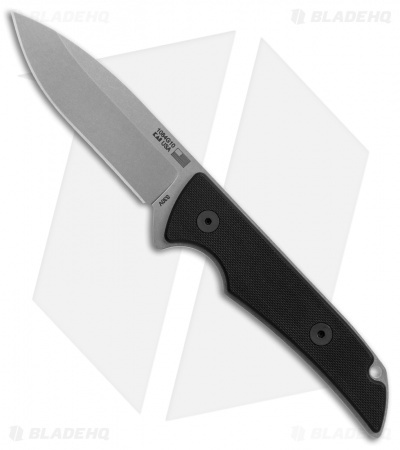 The Premium Skyline fixed blade is an excellent knife that is sure to please! Durable CPM-S30V blade steel provides excellent edge retention and cutting performance. Textured black G-10 scales offer a no-slip grip for secure use in any conditions. Premium, custom-fit Kydex sheath for dependable retention and comfortable carry. Add a Small Tek-Lok or G-Clip to your Skyline's sheath to unlock a variety of carry options. I received this Bad-Boy a few days ago, I really like how it fits my hand whether I hold it tip-up or tip down and the Kydex sheath is perfect, your hand stops right at the perfect spot when you decide to deploy it. If you don't know your steels S30V is the cat's meow and the dogs Bow-wow, well known for edge retention (top shelf stuff). And last .. .. .. Blade HQ only has 250 ... get one quick ! 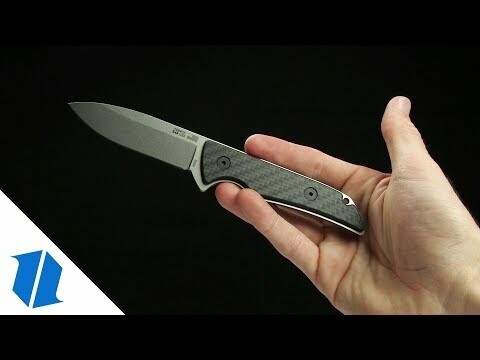 Skyline fixed blade with S30V steel, AWESOME! I was glad that Blade HQ brought back the fixed blade Skyline. The S30V steel and Kydex sheath convinced me to buy it. The blade is about 50% thicker than the folder. I just received the Skyline XL about an hour ago. I hope there will be a fixed blade version of it too. Bought this a month ago on sale. Came with Kydex sheath and Kershaw socks. It's a good fixed blade for edc but I wouldn't go camping with it. I used a soft loop for the sheath and I wear it horizontally at 6 o'clock. I always liked the look of the folding Skyline, but never bought one. This combination of S30V steel, the good looks of the Skyline and good quality sheath for $80 is hard to beat. I also like the size as compared to so many huge fixed blades. I added a Spyderco G-Clip to the sheath and it fits perfectly. Possibly the best general purpose knife on the market. I have always loved the Skyline. I purchased 2 original Skylines and carried them daily for years. One I abused the snot out of, the other I kept nice to wear with slacks and suits. The original is still the best formal wear knife I have ever owned. It truly is a gentleman's knife. The one that I abused I cut everything with and even batoned it a few times to accomplish the task I was doing. It surpassed all of my expectations. I purchased the fixed blade Skyline to use as an everyday carry and I am not disappointed. It is everything the Original is but better. The S30V steel is great. The blade is thicker, but retains the same great balance and ergonomics of the folder. The Linos sheath is top notch. Comparing my original with the fixed blade I believe you get about 1/8 more cutting edge on the fixed blade. I know what the spec sheet says, but a side by side comparison shows different. I love this knife. I was lucky and got mine on discount in the Bargain Bin. It was said to have blemishes. The only blemish I could find is that it was dull. 5 minutes on a fine diamond and it is no longer dull. 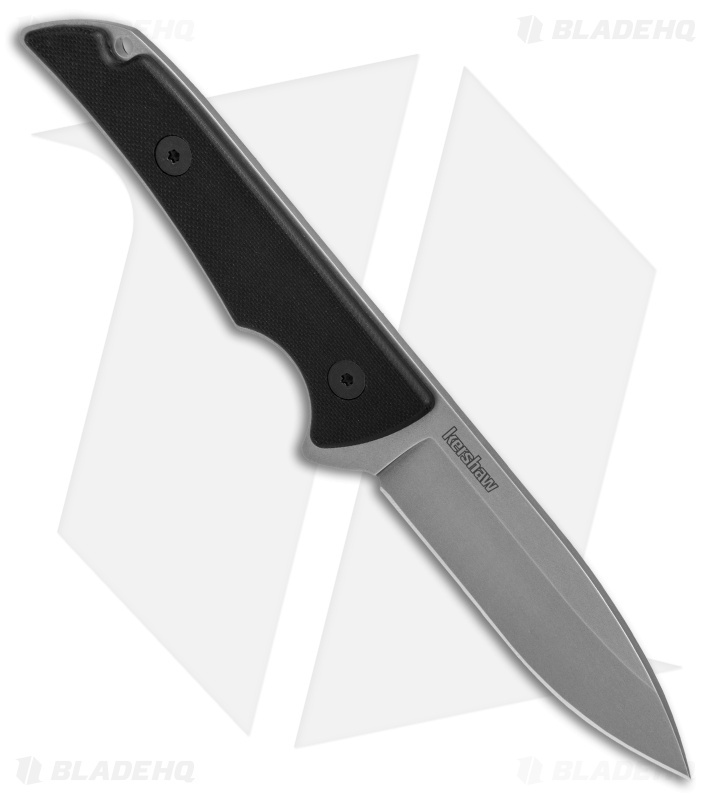 Now if we could just talk Blade HQ into doing a premium fixed blade Skyline XL we would have the best field knife out there. Thanks for bringing this one back Blade HQ. This iteration of the Skyline is ideal for everyday carry. A high-wear stainless steel partnered with a comfortable G-10 handle makes for an incredibly versatile blade. Throw in the great kydex sheath and you’re set to go. The sheath came very tight, but has begun to break in. I’ve been using a Blade Tech Tek-Lok to wear the knife in a horizontal appendix carry fashion for a month and it has not disappointed me yet. The design isn’t my favorite... but s30V for 80$!!! This thing is amazing for the price can't beat it. The fixed blade Skyline is a great, slim, light knife. This new run with S30V and a kydex sheath makes it that much better. US-made, S30V, great kydex sheath, and at a great price point. This one is a no-brainer. First Kershaw I purchased. Originally a Benchmade Griptillian carrier for almost a year now and adore that blade. Wanted to try something new that was small to carry but has quality at the same time and this is the ticket for me. 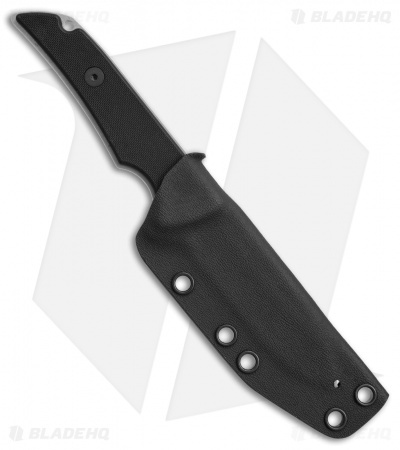 Great kydex sheath, you know your knife is not leaving your person for any other reason. Excellent G10 handles and the blade is razor sharp. Don’t have huge negatives about this blade at all. Only thing I have to say is that if you want to belt carry, then you have to buy the part for that, same if you want to use it as a neck knife, just need paracord for that. Other than that, would definitely suggest buying this knife, it is well worth the money and for something made in the USA, you can’t beat it! Perfect Steel for this EDC Blade! 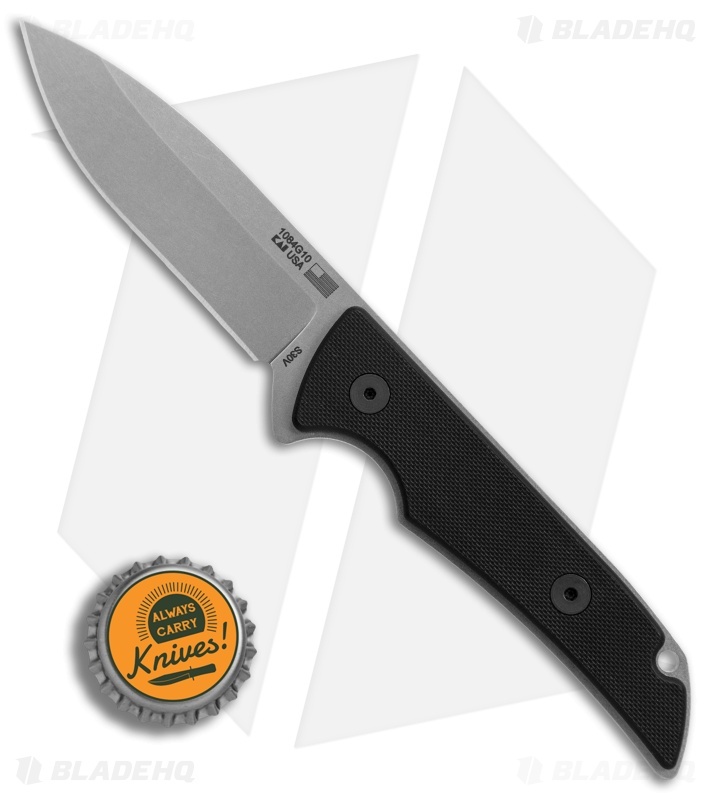 Always loved the Skyline folder, but this premium s30v Fixed blade is perfect with the kydex sheath. added a bolt on belt loop in the scout carry position and it's perfect for a very light EDC blade.